5 replacement Full strength tobacco Aquamiser type e cig cartridges for use with Matchless Rechargeable e-cigarettes. High nicotine strength (18mg) and tobacco flavour. Our most popular ecig cartridges. To use just screw the electronic cigarette refill cartridges into battery and inhale. 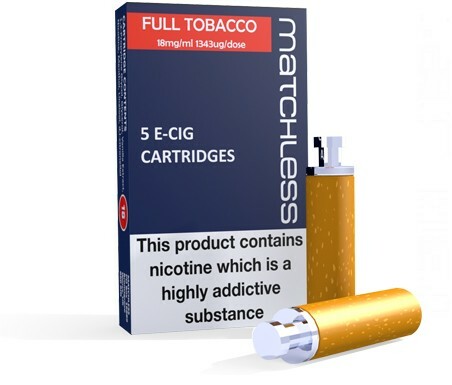 Use of Matchless electronic cigarette cartidges costs the equivalent of £1.00 a pack of 20 traditional cigarettes. 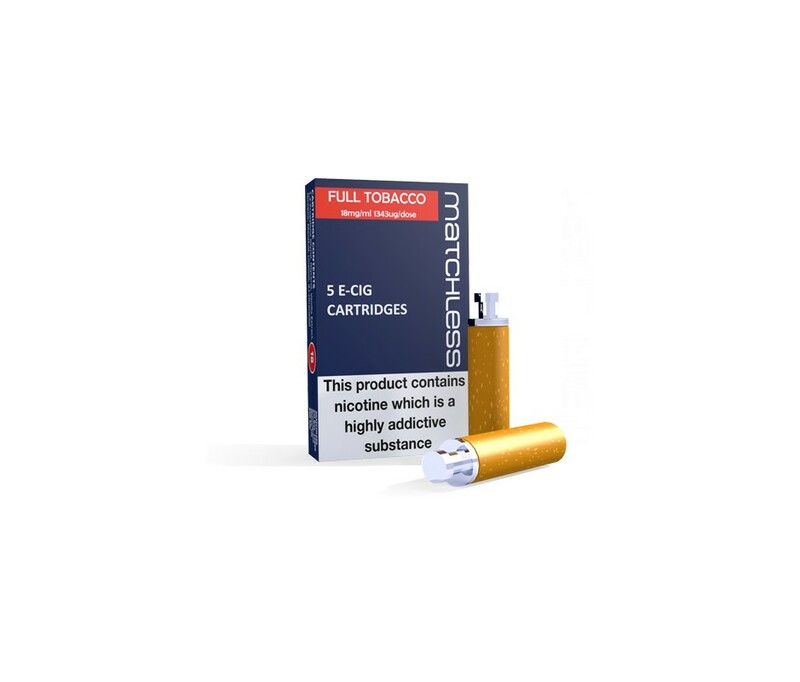 A rich, bold and fuller tobacco flavour produced in our labs to bring you a premium and fine tasting tobacco flavoured cartridge for your Matchless Rechargeable electronic cigarette. A great flavour for those have enjoyed smoking traditional tobacco and want to enjoy a similar experience with an e-cig. The Matchless Full Tobacco Cartridges come in high nicotine strength (18mg). Each pack contains 5 cartridges for your Matchless rechargeable e-cig, giving you up to 300 puffs per cartridge. That works out to be just £1.00 for a pack 20 cigarettes! A jaw dropping saving and a great flavour too!